No job is too big or too small for Gutter Innovations! Let us help you whether it be for that big factory roof at your work or that thatch Lapa next to your living area. 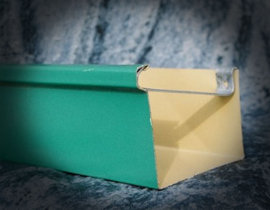 We can manufacture box gutter products in any shape or size to fit precise applications, this could be between two roofs of similar or even different heights. 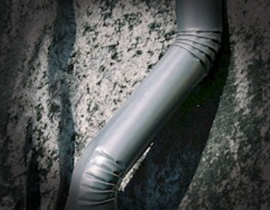 Box gutters are also used between a roof and a parapet wall or around a chimney as a chimney flashing. 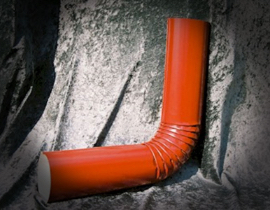 These can be manufactured tapered to create water flow in a specific direction as required. 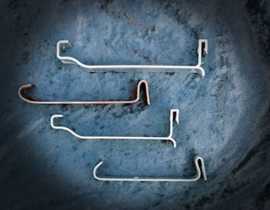 Our range includes box gutters, seamless gutters, aluminium gutters, ogee profile gutters, downpipes, brackets, fascia boards, barge boards and more! 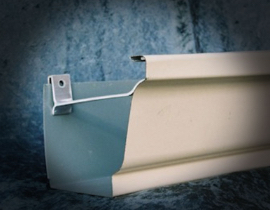 Gutter Innovations manufactures and installs galvanized seamless aluminum gutters in both domestic and industrial sizes. 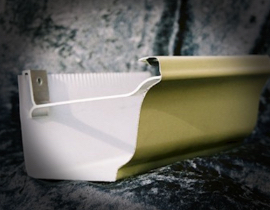 We can manufacture and install any size gutter to clients’ specification – up to 1225 mm in length. 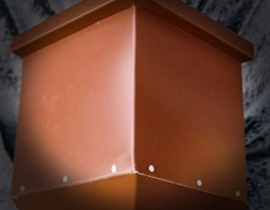 Our range also includes any shape or size Fascia and barge boards up to 1225 mm girth, various sizes and designs of rainwater hopper heads and under eaves closures to fit structure specifications.